Bill wrote the song “I Call Your Name” for Georgetown Alumni’s Memorial Mass commemorating class members who have passed away. Listen/download the song here (click link to LISTEN. Right click and “Save link as” to DOWNLOAD song to your computer). See the “In Memoriam” video HERE. Check out a few of the new songs below…not available on any album yet. Click link to LISTEN. Right click and “Save link as” to DOWNLOAD song to your computer. Every artist needs a Christmas song, right? 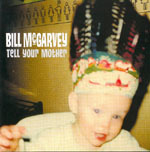 Bill has recorded a special version of “Baby Please Come Home” for a video on. The song is FREE to download here. Recorded in the kitchen mixed in the living room by BMcG.